Sources say this investigation follows a referral from the special counsel’s office and is said to involve registration of work as foreign agents. Former lobbyist Tony Podesta, Mercury Public Affairs partner and former Minnesota Republican Rep. Vin Weber and former Obama White House Counsel Greg Craig are all under federal investigation by prosecutors for the U.S. Attorney’s Office for the Southern District of New York, multiple sources with knowledge of the matter told NBC News on Tuesday. Those sources say this months-long investigation in New York follows a referral from the special counsel’s office. The existence of this particular probe was first reported by CNN, which characterized the investigation as looking into whether lobbyists and operatives failed to register their work as foreign agents. None of the people identified as being under investigation have been charged with a crime. In October, NBC News was the first to report that Democratic lobbyist Tony Podesta and the Podesta Group were being investigated by Mueller’s office. 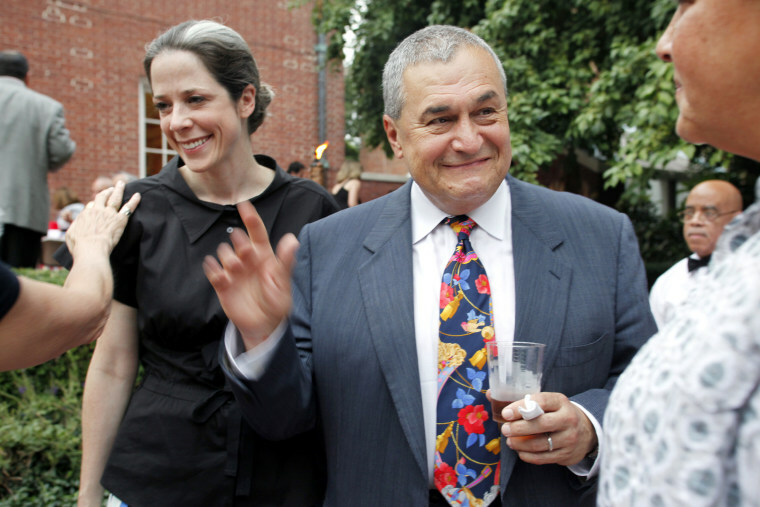 Tony Podesta is the chairman of the Podesta Group and the brother of John Podesta, Hillary Clinton's former presidential campaign chairman. John Podesta is not currently affiliated with the Podesta Group and is not part of the investigation. The probe of Tony Podesta and his Democratic-leaning lobbying firm grew out of Mueller's inquiry into the finances of former Trump campaign chairman Paul Manafort, according to the sources. As special counsel, Mueller has been tasked with investigating any possible a criminal conspiracy between the Trump campaign and Russia. Trump has repeatedly denied any "collusion" took place. Manafort had organized a public relations campaign for a nonprofit called the European Centre for a Modern Ukraine (ECMU). Podesta's company was one of many firms that worked on the campaign, which promoted Ukraine's image in the West. Weber's firm, Mercury Public Affairs, has also been under investigation for possibly failing to file Foreign Agents Registration Act reports for their work with the ECMU and on behalf of Ukraine, NBC News has previously reported. Separately, Craig, the former Obama White House counsel, is under investigation as well, the sources said. Craig left his job at the law firm of Skadden, Arps, Slate, Meagher & Flom, after he and the firm became caught up in Mueller's investigation. Alex van der Zwaan, who had been a lawyer in Skadden's London office, pleaded guilty to lying to prosecutors and the FBI about communications involving work the firm had been performing for the Russian-backed former Ukrainian president Viktor Yanukovych, whose party was paying Manafort and Manafort’s former business partner, Rick Gates. Craig was the senior partner overseeing a report produced by Skadden Arps about the prosecution of Yulia Tymoshenko, a Yanukovych political rival.